Canyonlands National Park encloses 337,598 acres of colorful canyons, mesas, buttes, fins, arches, and spires in the heart of southeast Utah's high desert. 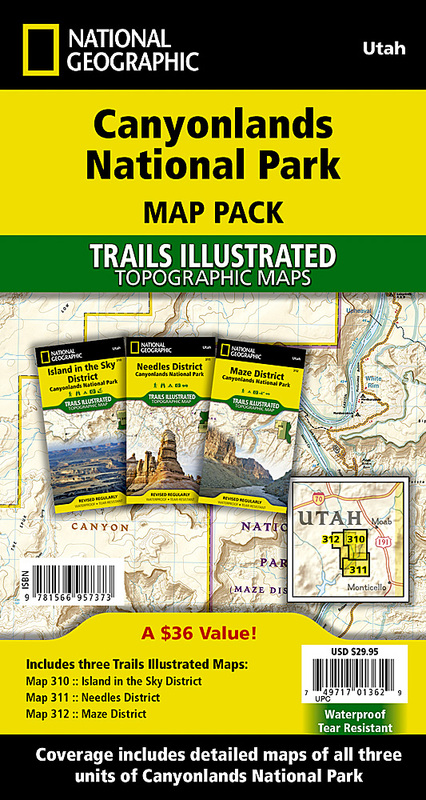 This Map Pack combines the three distinct districts of Canyonlands into an easy to purchase bundle. While the districts appear close on a map, there are no roads that directly link them so each map in the bundle represents a different adventure into the rugged canyon landscape. The districts share a primitive desert atmosphere, but each retains its own character and offers different opportunities for exploration and adventure.